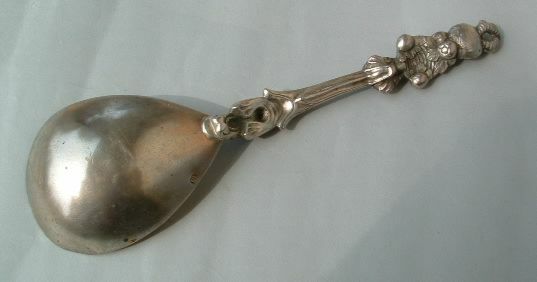 this silver wedding spoon is of German area origin. 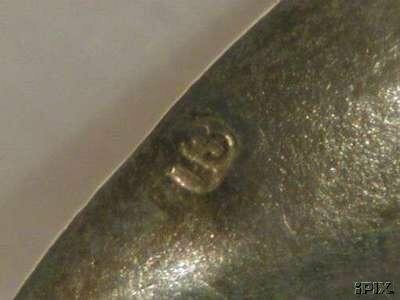 The only hallmark is "13", meaning that silver contents is 13 "loth", that is 812/1000. Loth is an ancient unit of measure for silver used in Germany until 1888. 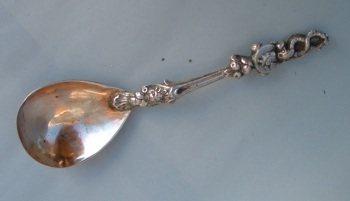 Lacking town and silversmith mark is difficult to identify age and origin of this piece. A reasonable hypothesis assigns it to the end 18th / beginning 19th century. The spoon is parcel-gilded and the handle is decorated with lion mask, female profile ivy's crowned, mythological animals and fruit clusters. 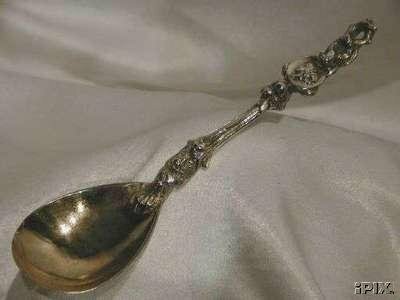 The spoon is 6 1/2 in. long (cm. 16,5) and was bought from a German dealer through the Internet.